The Groove Cartel brings you the ultimate Miami Music Week guide for the hottest week of the year. 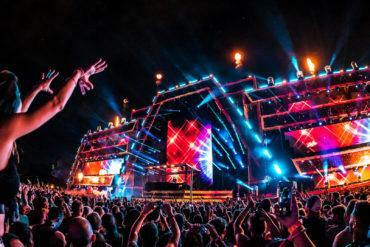 Every year in March, Florida’s metropolis Miami is literally invaded by electronic music fans from all over the world. The reason behind this mass migration towards the “Vice City” is the Miami Music Week. 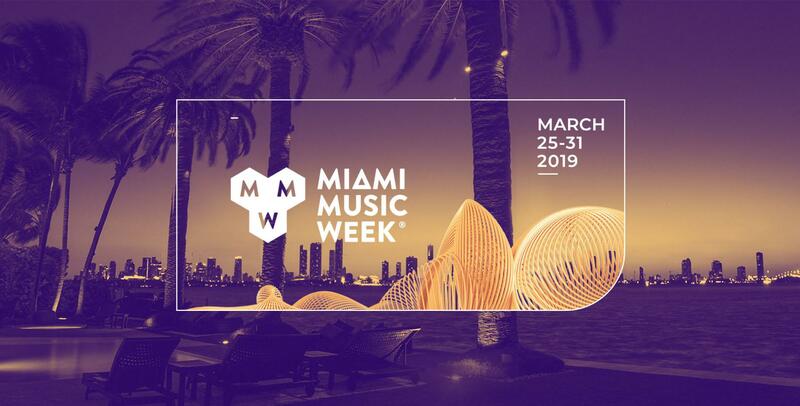 The highlights of the MMW, as every year, will be the Winter Music Conference from 25th to 28th, and Ultra Music Festival from 29th to 31rd. In addition, pool parties organized by the most influential DJ, producers and labels will take place all over the city. Following, our recommendations for your MMW experience. How not to quote Ultra Miami when talking about Miami Music Week? Running from the 29th to the 31st of March, this year Ultra Miami will take place in the paradisiac frame of Virginia Key. The new venue, that is way bigger than Bayfront park, will let Ultra host 7 stages divided between the Virginia Key Park and the Miami Marine Stadium. Ultra Miami this year welcomes also the RESISTANCE Island, a complex of three stages entirely dedicated for the underground music world. 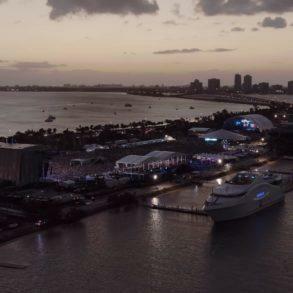 With the change of location, Ultra Miami has thought about every single detail, including in the festival tickets a shuttle bus to reach and leave Virginia Key. 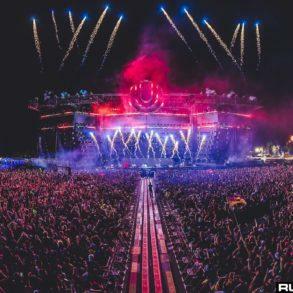 With the big lineup ever, Ultra Miami 2019 is set to raise the standards for the electronic music festivals worldwide. Check out our complete guide tot he festival here. If you’re in Miami and you haven’t planned yet a party that includes Kryder or Tom Staar, you’re not a real groover. Both groove Bosses are in Miami with a huge list of events they’re going to attend. You can check them below. The first event to attend as soon as you arrive in town is the first Epic Pool Party with David Morales and Louie Vega on the lineup. It will take place on the roof of the Kimpton Epic Hotel, in Downtown Miami. From 5 to 11 PM you will enjoy the breathtaking view of Miami with the greatest house music as a soundtrack. Tickets start at $ 15 but you can save your full pass for all the Epic Pool parties for only $ 100. For more info and tickets follow this link. From 12 to 10 PM you can enjoy one of the most iconic Miami Music Week outdoor party in South Beach. Only the best European DJs on the lineup for 10 hours straight of purely electronic music. Miami Massive lineup is still to be announced but early bird tickets are already on sale at around $ 25 here. Only the best house, groove, tech, tribal and latino house are expected during the party. 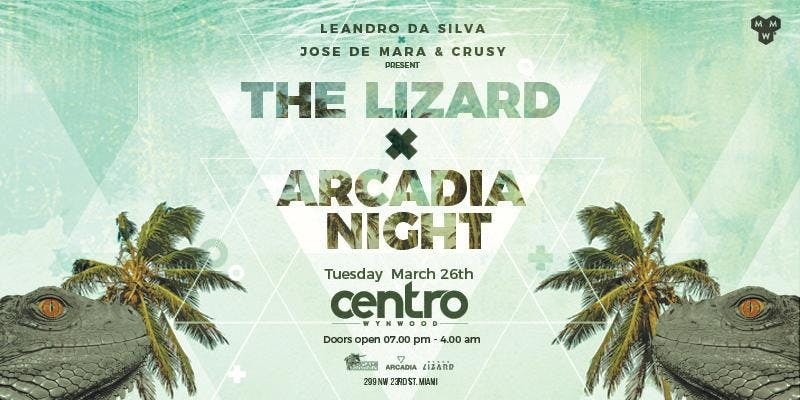 Leandro Da Silva and Jose De Mara x Crusy will join forces for another incredible party. From 7 PM to 4 AM, the hottest nightlife destination in Wynwood, Centro Wynwood will turn into the groove kingdom. The event lineup is still to be announced but, we’re sure will see tons of incredible names performing. The event is free with previously registration here. Wednesday at Delano, during Miami Music Week, has been always home of the Axtone pool party. Unfortunately this year the Axtone party won’t be in Miami. On March 27th Delano Hotel welcomes Fisher with his Catch & Release party. The lineup will include Fisher, Martin Ikin, Mason Maynard, Mele Plus Special Guests. More info here. 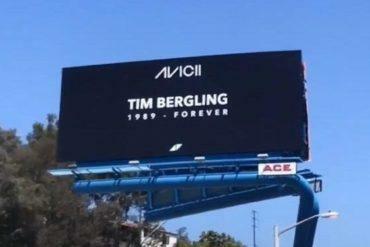 If you’re more a type of Dj Mag, the worldwide famous magazine has organized the annual pool party. From 12 PM to 11 PM the Surfcomber pool will be turned into a crazy dancefloor; expect nothing but the best EDM artists out there. The lineup includes Alok, Dennis Ferrer, DJ Tennis, Don Diablo, Magdalena, Nicky Romero, and tINI + a very special guest that will be announced later. More info following this link. 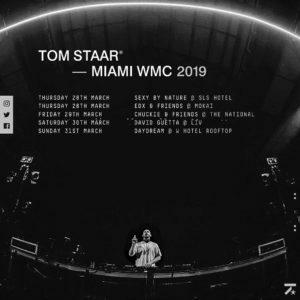 HoTL owner, David Tort will host his own party for the Miami Music Week. From 7 PM till 4 AM, El Patio at Wynwood will host the HoTL party. The lineup includes Markem and a lot of artists will be announced in the future. If you’re a techno lover, you can’t miss Drumcode Miami. On Wednesday the iconic Space Miami will turn into the techno-paradise. The lineup is still to be announced but, we can expect at least the label boss, Adam Beyer. The party will run from 11 PM till 6 PM on the following day. We’ve featured more than once the incredible Finnish DJ and producer and what better occasion to hear him live if not during Miami Music Week. Yotto will host his own party at Treehouse in Miami Beach. Tickets available here. 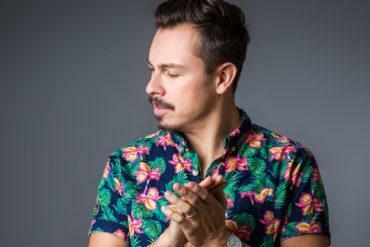 During its North Amerca tour, Defected will stop in Miami for its MMW party. Part of the Epic pool party at Kimpton EPIC Hotel, Defected will showcase all of its roster of artists. 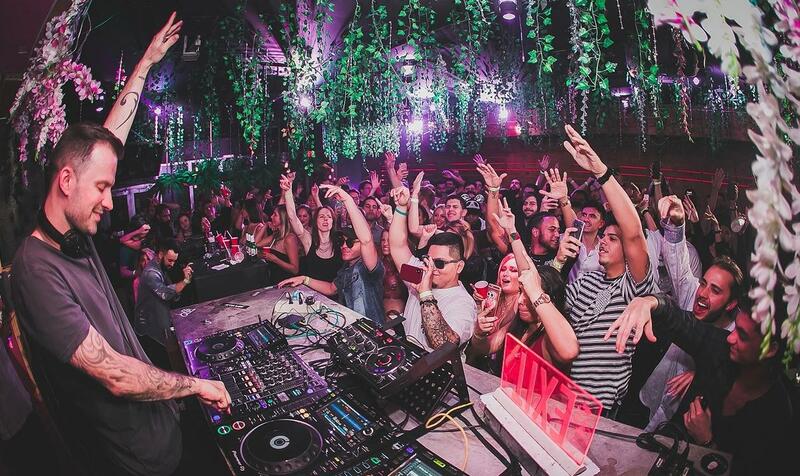 From Ferreck Dawn to Riva Starr and Sam Divine, Defected Miami is set to be a crazy party. The lineup is already available but, more names will be added in the future so, stay tuned. Tickets are selling fast so, save yours as fast as possible here. 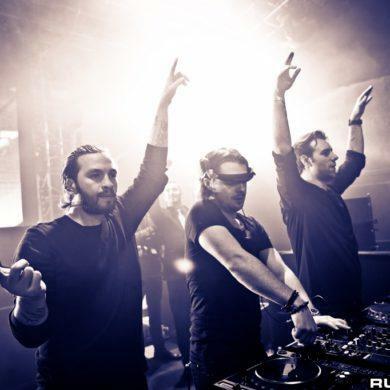 7 hours of Dirty South is how musical heaven looks like. The Australian-naturalized and Serbian born musical genius will bring you into a journey through his favorite music. This is one of the party we won’t miss at all. If you are around, tickets are still available here. 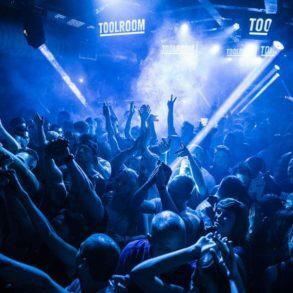 Danny Howard, Mark Knight, and Amine Edge & Dance are only a few of the artists that will join Toolroom Live. From 3 PM to 5 AM at the East Room of Wynwood Factory, the Toolroom family will bring you into the house music environment. Take note, this is not Toolroom in Stereo Pool Party. Mark Knight will host another Toolroom party the day after, on Friday the 29th. On the same location of the Toolroom Live party, Eric Prydz will host his own Pryda Miami party. Tickets went sol out some minutes after the selling started. From 10 PM to 5 AM you will enjoy the purest electronic music with Pryda and all his friends. The full lineup is still to be announced. More info following this link. The DJ Chuckie & Friends Pool Party returns to the infamous National Hotel Pool Parties after a slammin’ sold out the first edition last year. This year promises to be no different, with a huge lineup composed by Bingo Players, EDX, Kryder and Tom Staar as well as DJ Chuckie himself. Early Bird and Tier 1 are already sold out so, be sure to pick yours as soon a possible here. After partying until morning the day before, Toolroom will bring you some serious sunset vibes during Toolroom in Stereo Miami. The pool party, located at the incredible Surfcomber will see Mark Knight with a lot of friends. The party is set to run from 12 PM to 11 PM. More info can be found on our dedicated article. Back in Wynwood, Anjunadeep will bring their refreshing vibes during the hot Miami days. From 2 PM till 4 AM. The stellar lineup includes Ben Bohmer, Dom Donnelly, James Grant, Jody, Wisternoff, Luttrell and Oona Dahl. Tier 1 and 2 tickets are already sold out. Limited Tier 3 tickets are still available. More info here. 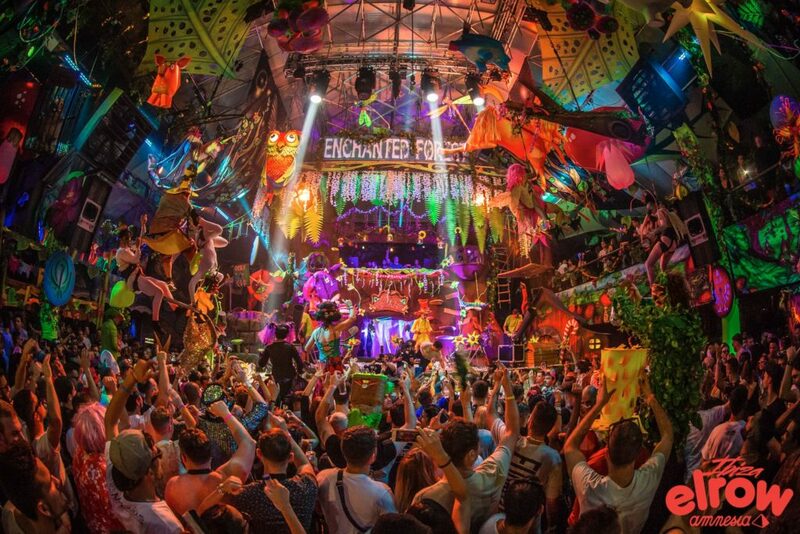 Iconic Ibiza-party, elrow is back in Miami during its “on the road” tour, at Mana Wynwood Warehouse, Miami’s premier multisized event venue provider thriving to showcase artistic and cultural scenes hosting up to 50,000 people. The lineup includes Claptone, Detelf b2b Latmun b2b Nathan Barato, Eddy M b2b Bastian Bux, Patrick Topping b2b Special Guest, Very Special Guest b2b Dosem, Very Special Guest, wAFF b2b De La Swing. Tickets are available here. Read more about the craziest party in the world in our recap of elrow Amsterdam. Grammy-nominated and Porter Robinson alias, Virtual Self, is ready to turn Soho Studios into his electronic music kingdom during the Miami Music Week 2019. Boys Noize will pair with Porter for the incredible night delivering, surely, one of the greatest performance you’ll ever see. Tickets starting at $ 35 here. Claptone, is confirmed to be bringing his Masquerade party to the sun-drenched rooftop for a healthy serving of upfront house music all day long. To lineup includes Claptone, Dennis Ferrer, Weiss, Franky Rizardo, and Mat. Joe. The party is part of The Epic Pool Party series; a weekly pass is available, that will give you access to all the Epic Pool Parties of the week. More info following this link. The most famous Ibiza party is back under the Miami sun with an extraordinary lineup. ANTS in Miami will be the official MMW closing party! The ANTS colony have gone rogue this year, battling against all systems and are set to crush Miami Music Week with deeper, darker and more underground vibes which will surely make for an unforgettable performance as only ANTS production can provide. 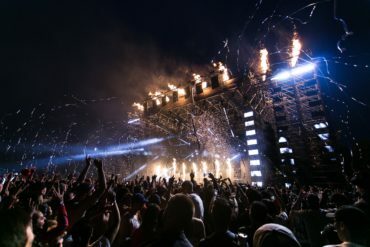 The lineup includes Davide Squillace b2b Tiga, DJ Sneak b2b Francisco Allendes, Martin Buttrich b2b Lauren Lane, Matthias Tanzmann b2b Dennis Ferrer, and Steve Lawler. Tickets are available here. Kryder is back in Miami bringing the hottest groovy vibes for an incredible party on the top of W Miami. 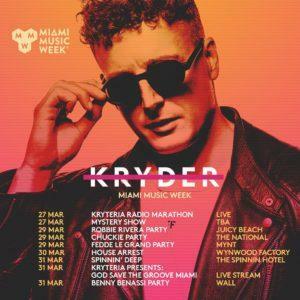 With a history of years of parties Miamiami, Kryder is ready to bring his new concept, together with Kryteria. 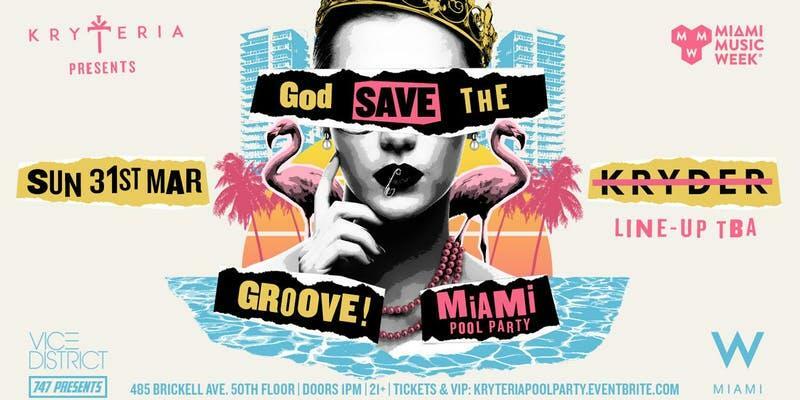 Launched for the first time in Amsterdam, the God Save The Groove concept is ready to land in Miami. Tickets, lineup, location and more are available here. 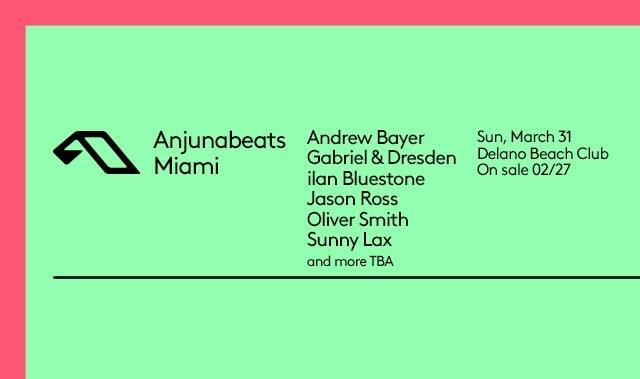 The annual Anjunabeats Miami bash is back! Brand new venue with a pool! Join the family at Delano Beach Club: with Andrew Bayer, Gabriel & Dresden, ilan Bluestone, Jason Ross, Oliver Smith, Sunny Lax, and a few more! Tickets on sale now. All info on our post here. We hope this post will help you in finding your perfect party. Have fun!